What’s your main aim with event marketing? 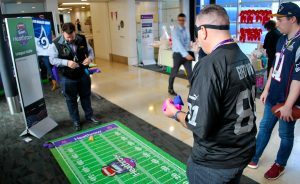 Whether it’s a staff engagement event packed with motivational activities, an industry event boasting the finest movers and shakers around or an event to show your appreciation to your best suppliers and customers, you need to interact with your target consumer on their level to truly engage. To spread the word about your event you’ve got the opportunity to market the heck out of it so people know and remember, all the poignant details. Much of what grabs our attention is “in the right place at the right time” so it’s best to reiterate and remind using a combination of marketing mediums – such as e-newsletters, blog posts, mailed invites and promotional postcards. Content is still king so make sure your message is communicated loud and clear with a sprinkle of innovation in order to keep that attention. Social media marketing and social networking are key to the success of your event marketing before, during and after the big day. 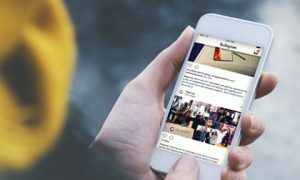 Create a Facebook event, with the opportunity for attendees to click as “going” and share the details with their friends. You should also share teaser photos showing the kind of swag you’ll be giving away and the building of your stand and then keep throwing out snippets via Twitter, Snapchat and Instagram as the event unfolds. This allows event attendees, and even those who couldn’t physically make it, to engage with you. Make your event fly on social media and keep attendees and participants up-to-date with the use of an event hashtag. Decide on an easy to use (and obvious) hashtag before the event and spread the word so everyone can take part in conversations. As well as being a great way to promote your event, it’s an excellent way for you to monitor conversations about your event, get access to feedback and make sure you leverage that interaction and engagement in the best way possible. Ideal if you have a bigger budget, event marketing mobile apps can be an absolute god-send. They help attendees and organisers to keep track of what’s going on where and when. It’s a quick and easy go-to, which will make everyone’s day run more smoothly. Also, in terms of engagement, it’s a direct and specific communication tool which will provide answers to FAQs and allow users to personalise their event experience. In addition to making sure your stand is in the best position possible (this varies depending on the type of event and venue so do your research before booking a stand), make sure people know who you are. This is your opportunity to make your colours fly so everything on display, from pop-up banners to pens, should be a constant reminder of your brand. Think outside the box and choose a fun or creative theme that’s on-brand and intrigue people to approach and find out more. The same applies to an internal staff event. ‘Dress’ your space as you would an exhibition stand. 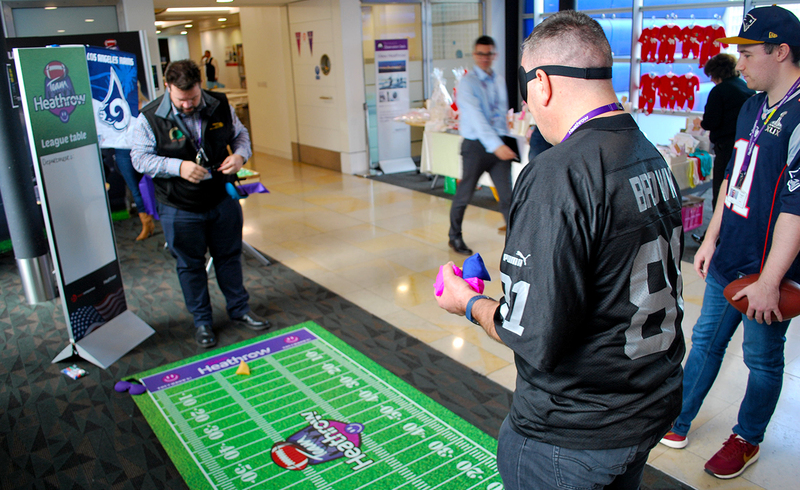 We created a variety of backdrops, pull-up banners, props and games for a staff teambuilding event at Heathrow – some imagination and attention to small details goes a long way. Pick a theme to create a game or competition that encourages people to visit your stand to take part. You could even put on some kind of entertainment to give your stand a buzz and reel people in for a chat. As long as you stay on-brand, think colour and current trends to give your event marketing an edge. The more refreshing your fun and games the better. A life-size cardboard cut-out is always good fun. This stand was produced for PG Tips for internal promotion of their Red Nose Day partnership. Gone are the days (if they ever existed) where people will do something for nothing so expect to give a little to gain a little as event marketing attendees expect to walk away with something; if it reinforces your brand awareness then all the better. There are so many gimmicks given away at events but it’s often best to keep things simple. While pens and notepads seem dull they’re likely to be used again and again. 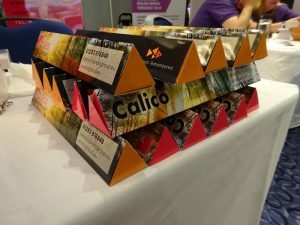 Free chocolates and sweets have become somewhat expected on an exhibition stand, but why waste an opportunity for adding your branding? We gave away branded Toblerones at a recent event which were very popular! You can even go on step further and personalise your giveaways, but adding the recipient’s name and company name, like these stunning bespoke giveaways we created for Schlumberger. Don’t forget to follow-up all this excellent event marketing engagement with thank you emails and feedback surveys. Once you’ve started, don’t lose the momentum! Are the company employees living the brand? Positioned within the Manor Royal Business District close to Gatwick Airport, at the heart of the Gatwick Diamond we are easily reachable via road, rail or air – handy for our international clients.